CCTV surveillance has become something normal and natural for most businesses. And the popularity of video surveillance is still growing. Which is not surprising at all, as CCTV surveillance may help to uncover a variety of issues, including theft, substance abuse, vandalism, corporate espionage and other illegal or unauthorized activities. Additionally, using of IP camera CCTV allows to easily control and monitor remote objects: not only business ones, but also real estate, home, pets and even small kids. Employee monitoring software will help detect dishonest or fraudulent staff members and reduce losses, for example in point of sales (POS). However, along with popularity also grows the number of CCTV surveillance adversaries and simply haters of IP camera CCTV. Thereupon, the question of ethics and morality in video surveillance comes up inevitably. 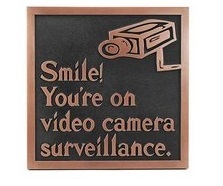 It mostly applies to the cases when CCTV surveillance is to monitor people, not inanimate objects. Surely, it is rather hard to find a person who would be comfort with the idea to be monitored constantly, at any given moment. Neither your clients and customers, nor your employees. Let’s say, in general, the workplace is not a location in which, under normal circumstances, persons consider their actions private. On the other hand, IP camera CCTV in the workplace must not intrude on those areas where persons consider their activities private. Which are restrooms, for instance. Anyway, even while employee monitoring your employees deserve respect and they should be notified if you decide on CCTV camera system installation. Even if you suspect some to be dishonest and not enough productive, you cannot be 100% sure, but can easily spoil you reputation among the others, most likely valuable and loyal staff. According to your country law regulations, you might need to make your personnel sign a written agreement on mutual consent. A public presentation of a Warning Notice stating that a particular area may be under video surveillance also is a good idea if you are to set a IP camera CCTV at, say, waiting room. If somehow your visitors will reveal they were under video surveillance and were not notified, they will hardly like it, which may cause misunderstanding or even a loss of a potentially lucrative contract. Thus, it is important to understand the goals of setting IP camera CCTV and thoroughly study your state’s laws. For example, under Section 2512 of the U.S. Code, manufacture, distribution, possession and advertising of wire, oral or electronic communication intercepting devices is prohibited. Excluded from this law are officers or employees under contract to the Federal government, a State or subdivision thereof. This is taken to mean that, with proper authorization, Law Enforcement agencies may be able to use covert audio surveillance. However, apparently audio surveillance is not acceptable in the private sector. Do not think that by using employee monitoring software without notifying your employees you will identify all the shortcomings of their work. Well, most likely, you do so. However, as we mentioned, you risk spoiling your reputation in the eyes of valuable and dedicated staff, who are always at a premium, and deserve, at least, respect for themselves. After all, the main purpose of setting IP camera surveillance, as noted above, is not stalking or incriminating, but a prevention of undesirable situations and help in their investigation, if they occur. That’s why you should mind its ethics and morality. If you follow these simple rules, the occurrence of most conflicts caused by the breach of ethics and morality can be avoided. As for employee monitoring softare as a measure of control over your subordinates, remember: you are one big family, and trust plays a significant role.